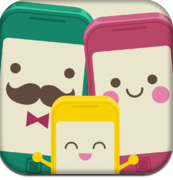 We Want Apps is a free iPad and iPhone app for discovering new apps for kids. I discovered We Want Apps on David Kapuler's blog and immediately gave it a try on my iPad. With We Want Apps installed on your iPad you can search for apps according to the age of your students, the platform (iPhone or iPad), and price (free or paid). After choosing your search criteria you will be given a list of apps. Click on an app in the search results list to read a detailed description of that app. You can use We Want Apps without registering. However, if you do register for a We Want Apps account you can bookmark and share your favorite apps. In addition to the search functions, you can also discover new apps by following the We Want Apps "App of the Day" feed. Just browsing the App store for educational apps for your students can be a time-consuming and occasionally frustrating process. We Want Apps could save you time and help you find apps that are suitable for your students to use on iPads in your classroom.